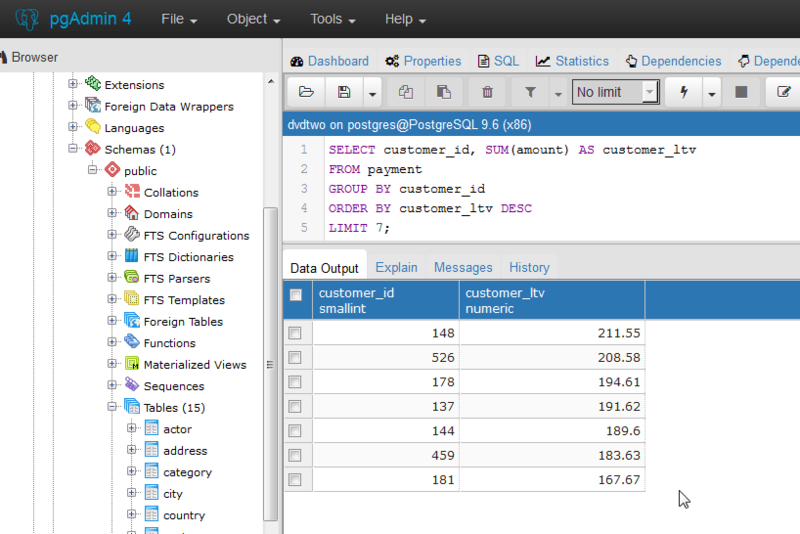 What’s up SQL people? 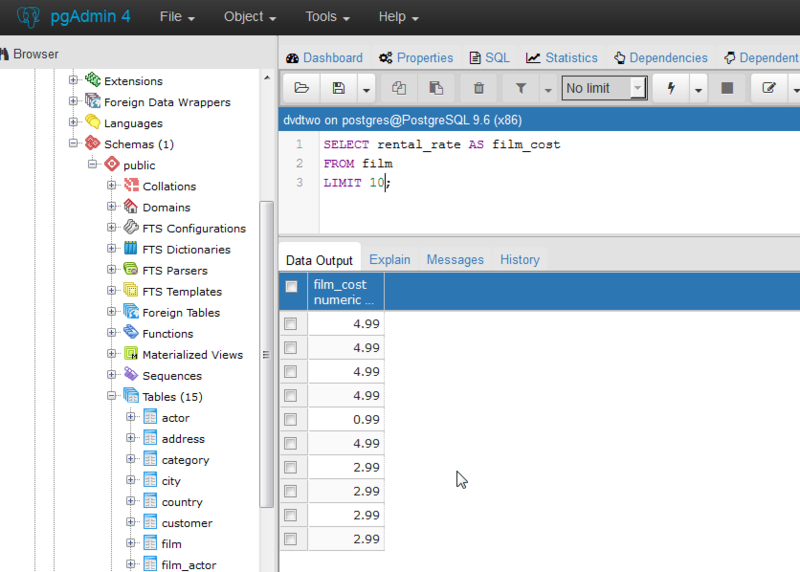 We’re back, and better than ever, in our foray to learn PostgreSQL. Since we’ve completed some intermediate skills challenges & learned GROUP BY, it’s time to examine JOINS. Before we examine JOINS, there’s a key foundation piece we must cover first: the AS statement in PostgreSQL. Let’s jump in. The AS statement in PostgreSQL enables us to rename sections of a table or table columns with a temporary alias, or almost a variable, for manipulation. It’s a simple statement, so let’s see it in action. Our most basic example is a basic query where perhaps a column wasn’t named to our liking. Consider the following. Great for an introductory example, but not inherently useful. Read on as we apply the AS statement more deeply. Let’s provide an example that’s a bit more engaged. Example, if we use aggregate functions, the column output doesn’t have a clean name attached to it. But no longer! The AS statement allows us to have the summation output in a GROUP BY statement to something we’ll recognize. This is something more useful for intermediate PostgreSQL work! We aren’t spending much further time here since this is a simple application and the JOINS statement is the function we’re truly after. If you’re just joining this series, check out our home page on how to learn PostgreSQL.